I’m in China this week, meeting with government, academia, and industry leaders in Guangzhou, Shenzhen, Beijing, Shanghai, and Suzhou. The 12-hour time difference means that I can work a day in China, followed by a day in Boston. For the next 7 days, I’ll truly be living on both sides of the planet. I recently delivered this policy update about the key developments in healthcare IT policy and sentiment over the past 90 days. I’ve not written a specific summary of the recently released Quality Patient Program proposed rule, which provides the detailed regulatory guidance for implementation of MACRA/MIPS, but here’s the excellent 26-page synopsis created by CMS which provides an overview of the 1058 page rule. In general, it has many positive provisions. The industry is welcoming the delays and accommodations it includes, especially the use of 2014 certified records for the 2018 year, and the small practice exemptions, which recognize the technologies, people, and processes needed to succeed under MACRA/MIPS could overwhelm independent clinicians. The Senate replacement for the Affordable Care Act continues to be debated, and there is concern that loss of Medicaid dollars may eliminate funding streams that supported healthcare IT. It’s too early to tell where the ACA repeal/replace activity will converge. What can we say about the IT policy direction of the US right now? 1. There seems to be great consensus that all stakeholders need to focus on enhancing interoperability technology and policy in support of care coordination, population health, precision medicine, patient/family engagement, and research. 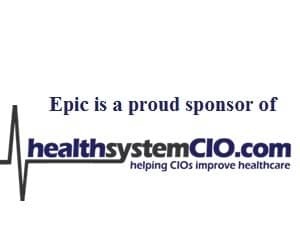 Epic – will support open-source FHIR APIs at no cost for the use cases prioritized by the Argonaut working group and HL7. Will also support proprietary Epic APIs for Epic licensees. Cerner – similar to Epic with additional SMART on FHIR support. Meditech – will support open source FHIR APIs and give encourage developers to work with customers to leverage the SQL-based Meditech data repository at each customer site. Athena – will support open source FHIR APIs at no cost, but give much more sophisticated workflow integration through the more disruption please program, which involves revenue sharing with developers. eCW – the Department of Justice settlement should lead to additional eCW support for standards based data exchange. 3. Many organizations in industry, government, and academic are thinking about patient identity strategies. It’s too early to know what solutions will predominate but leading contenders are biometrics (fingerprint, image recognition, palm vein geometry, etc. ), a voluntary national identifier issued by some authority (public or private sector), or some creative software solution such as OAuth, OpenID, Blockchain, etc. This month, I will co-chair a national consensus conference on patient identifiers hosted by the Pew Charitable Trust. I’m hoping we achieve consensus on a framework that accelerates the availability of such an identifier for multiple purposes. 4. Several groups are thinking about how best to converge our heterogenous state privacy policies, specifically focusing on the role of the patient as data steward. We can radically simplify privacy protection if the patient is the agent by which information is shared. 5. Finally, there seems to be an overwhelming sentiment that the concept of certification and prescriptive IT policy should be replaced by an outcomes focus. 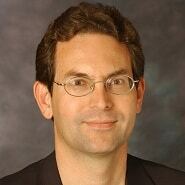 Rather than counting the number of Direct messages sent, giving organizations the flexibility to each data using the most locally appropriate technology but then holding them accountable for a result of that data exchange, i.e., reduced readmissions, reduced redundant testing, reduced errors seems to be well aligned with a move to value-based purchasing. In theory, the members of the new Healthcare Information Technology Advisory Standards Committee (which replaces the former Policy and Standards Committees) will be named in July. I look forward to hearing about the initial challenges the group will tackle. I’m hopeful they will choose some of the issues mentioned above. In several recent lectures, I’ve reinforced my optimism for the future of the healthcare IT ecosystem. I believe the next few years will be filled with market-driven innovation, encouraged by new consumer demand for healthcare process automation and supplemented by low cost, cloud-based utility devices such as the machine learning and image recognition APIs offered by Google and Amazon. It will be a great time for entrepreneurs, providers, and patients, all of whom are fatigued after years of Meaningful Use, ICD10, and accelerating numbers of quality measures. As a CIO, I’m looking forward to doing what my customers want me to do instead of being told what I must do.